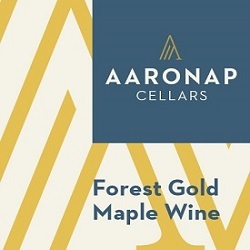 From golden leaves in the fall to sap dripping from spigots in the spring, the sugar maples in the Berkshires of Western Massachusetts lend a golden offering to wine lovers. This decadently sweet aperitif or dessert wine made in the “ice wine” style is a truly unique tasting experience that must be enjoyed. Rich golden color with heady notes of maple, almond, & clove. The full bodied mouthfeel gives way to a lingering delicious finish. Sweet enough to drizzle over vanilla ice cream or pancakes. Aging Potential: Will age for 5-7 years but why bother? Drink now & enjoy! Pound cake, cheesecake, apple crisp, creme brulee, or ice cream. Even try drizzling over pancakes or mixing with Dijon mustard for a spread over grilled salmon. Aging Protocol: 6-9 months in stainless steel. The Berkshire Mountains in Western Massachusetts are blessed with plentiful stands of sweet sugar maple trees. In the spring, sap runs commence with the arrival of warm days but lingering freezing nights. We wait towards the end of the sap run to collect sap that will give the darkest grades of maple syrup after a 40:1 ratio concentration for the fullest maple flavor. Dark amber maple syrup was diluted and fermented cool with special yeast used for ice wine production. Fermentation is allowed to stop naturally based on the yeast tolerance, leaving delicious residual maple sugar.